Cover your ears with pure Italian style. The Dragon headband from Ski Trab is an 80% polyester / 20% spandex blend that softly protects your hearing-flaps and forehead from frostbite. Heat can still escape out your lid so you won’t overheat. The Dragon band is a casual ski touring accessory. 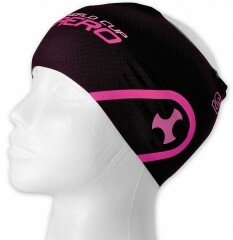 The pink colored band runs small and best suited for smaller heads.